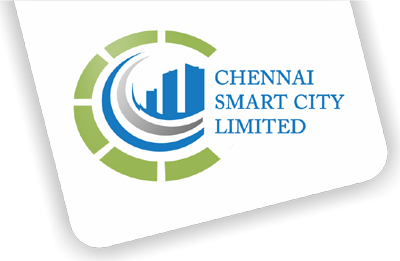 Chennai Smart City Limited (CSCL) provides information and other services through its website as a service to those interested in CSCL and/or Smart City. Attempt is made to provide comprehensive access to content and services related to a wide variety of subjects of interest to visitors. Continuous efforts are made to add new content and services to the site. While every effort is made to ensure that the information provided is accurate, CSCL does not guarantee the accuracy, authenticity and completeness of the information and services provided. The content is provided on "as is" basis, as a general guidance to users. The visitors to the website are assumed to access the content and services at their own will and not hold CSCL responsible for any liability arising out of the use of the content & services, explicit or implicit, provided in the website.